Just a quick blog post. I promised my self I would not buy anything...but saw these for a good price. They will make great displays for markets. 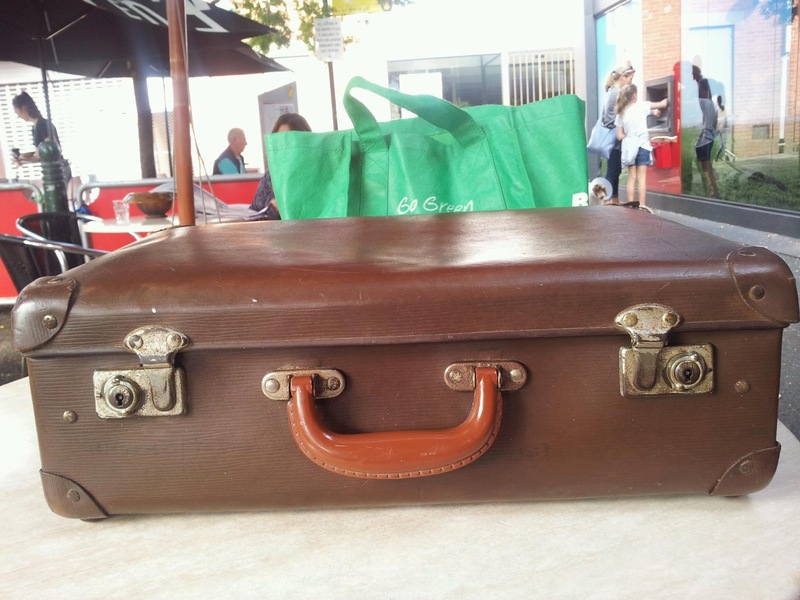 I love vintage suitcases! They're certainly getting a lot of attention lately, aren't they?! Glad you liked them Doreen. My son's fiance' and I have been looking for one for their wedding. I certainly didn't expect to find one like she wanted much less 2! They were just the right price as well. I did not care about the condition as I will use them for market displays. Wow Tracy! You have got a great item for a great bargain. Love vintage. Yeah, you're right! This will make a great display. Can't wait to see it! They were certainly a bargain! I love vintage items and these will really complement my my vintage cards I make for markets. I will make sure I blog my next market displays. Tracy thanks for coming by. I am so glad that we connected. I have just joined your sight also and will be looking forward to visiting often. I love your site. Just went back to have a look at your latest posts. I found you through the Bloglovin Hop hosted by http://www.funnypostpartumlady.org/ Follow me back?